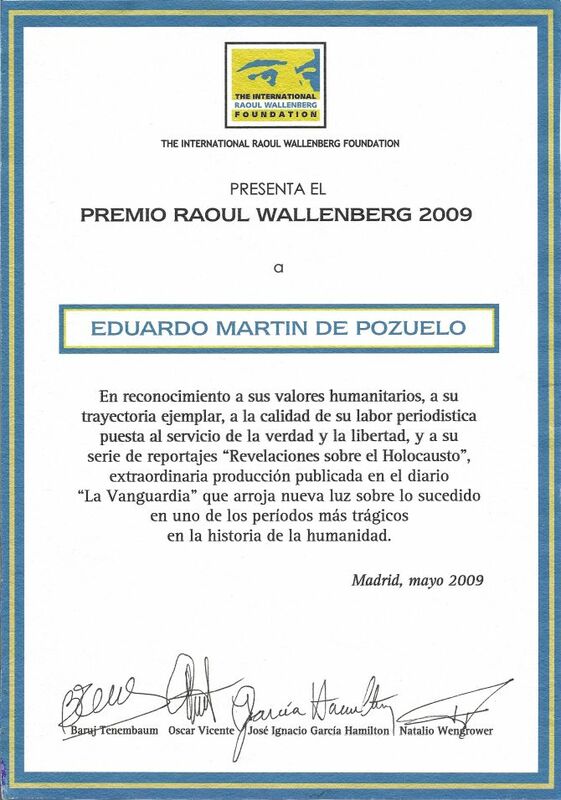 Madrid, May 29, 2009 – The International Raoul Wallenberg Foundation bestowed the Raoul Wallenberg Award to Spanish journalist Eduardo Martín de Pozuelo for his praiseworthy journalistic career and his exceptional articles in the series ”The Holocaust Revelations” published in the newspaper ”La Vanguardia.” The ceremony was organized with the collaboration of Casa-Sefarad Israel and was held at the Headquarters of the European Commission in Madrid. 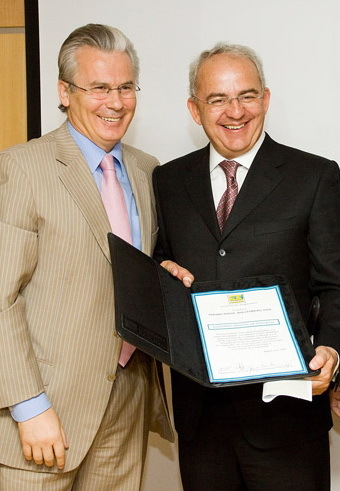 Judge Baltasar Garzon and Congress representative and 2002 Raoul Wallenberg Prize honoree Gustavo de Aristegui handed out the distinction. 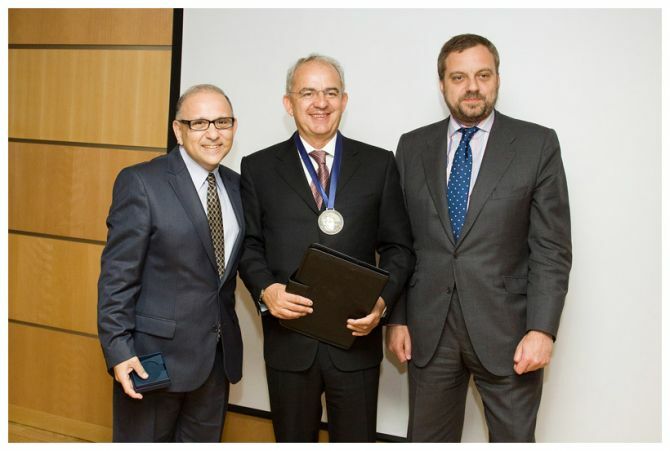 Diego de Ojeda, General Director of Casa Sefarad – Israel; Miguel Puente Pattison, Chief Press officer of the European Commission; and Danny Rainer, Vice-President of the Wallenberg Foundation, accompanied them in the presentation of the Wallenberg Medal and Diploma. 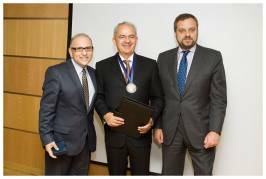 ”This award transcends the journalistic work. 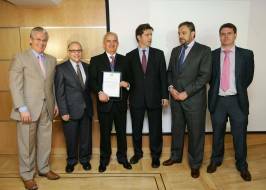 I believe that the young generations of Spain should be educated on the Holocaust in the way the Wallenberg Foundation is doing in other parts of the world,” said de Pozuelo. 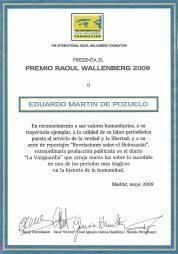 The Raoul Wallenberg Award has been established with the aim of recognizing those individuals who excel in their exemplary conduct, solidarity spirit and outstanding performance in their respective occupations, as well as continuous and careful support of NGO’s. The International Raoul Wallenberg Foundation is an educational NGO founded by the argentine entrepreneur and humanitarian Baruch Tenembaum and the late US Congressman Tom Lantos. 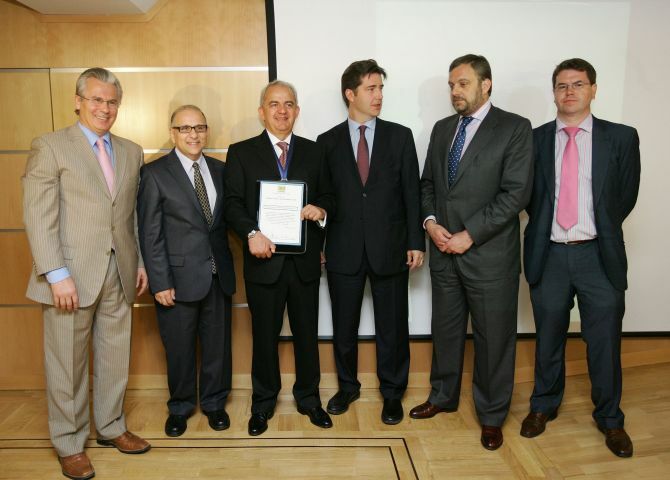 Casa Sefarad-Israel is a Spanish institution created with the aim to foment relations of friendship and cooperation among Spain, Israel and the worldwide Jewish community through the creation of projects in the fields of politics, economic, science, and culture. The organization aspires to be an instrument of public diplomacy together with other similar institutions: Casa de America, Casa Asia, Casa Arabe, and Casa Africa.